A fast paced action shooter inspired by the arcade classic Super Buster Bros! Use a wide selection of weapons and power-ups to tear through increasingly challenging levels. 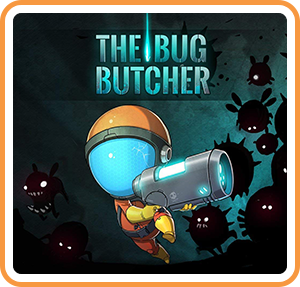 The Bug Butcher is an action-packed 2D side scrolling shoot'em up game where peril comes from above. So in a nutshell, pest control with machine guns in space. The core mechanics hold old ties from the classic arcade shooter “Super Pang” where you shoot vertically, but with modern day twists. You are Harry, a brash and tenacious exterminator who has a knack for decimating bugs. Chaotic, fast paced action shooting inspired by the arcade classic Super Pang!